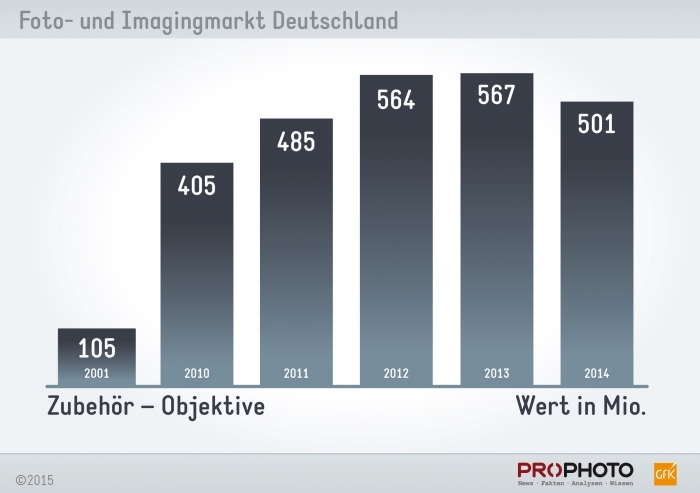 German Photo Market 2014: 28,7% less DSLRs sold, demand for EVILs increasing! A few days ago the Photoindustrie-Verband e.V. 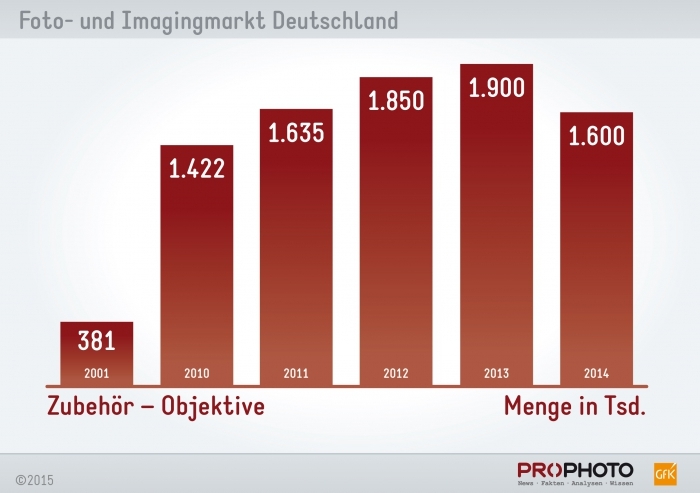 published the 2014 sales figures for a number of products on the German photo and imaging market. 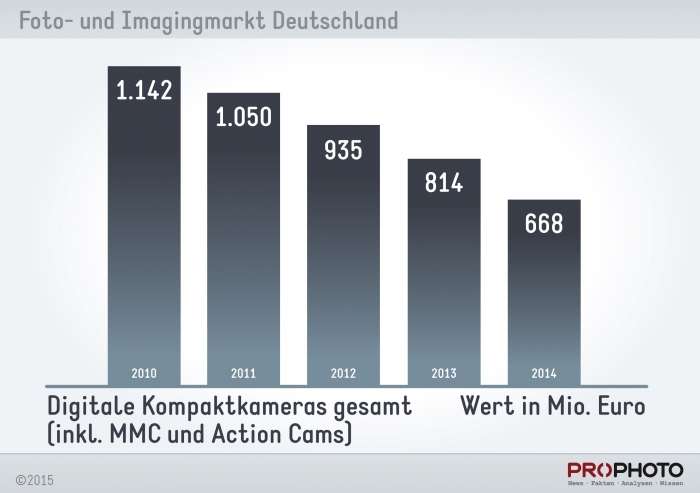 As was to be expected by now, the demand for digital compact cameras further decreased in 2014. High-end compact cameras are the only ones among compact cameras that continue to sell well. How bad the situation really is only becomes apparent if one compares these graphs with the ones of the, at the moment highly sought after, action cams, the sales figures of which are included in the numbers referred to above. 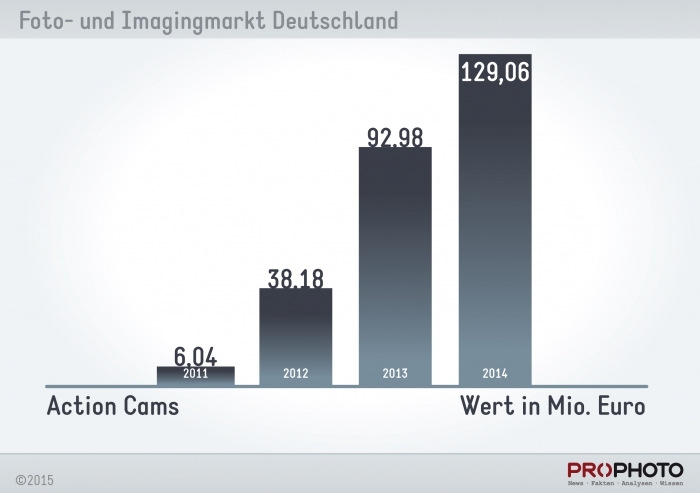 After 13 years of growth, lenses sold worse in 2014 than in the year before for the first time. Quantitatively speaking, this amounted to 300,000 fewer pieces sold, or 15.8%. 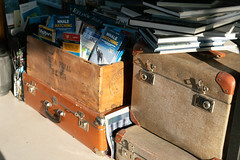 The decrease in sales, €66m or 11.6%, was slightly smaller. 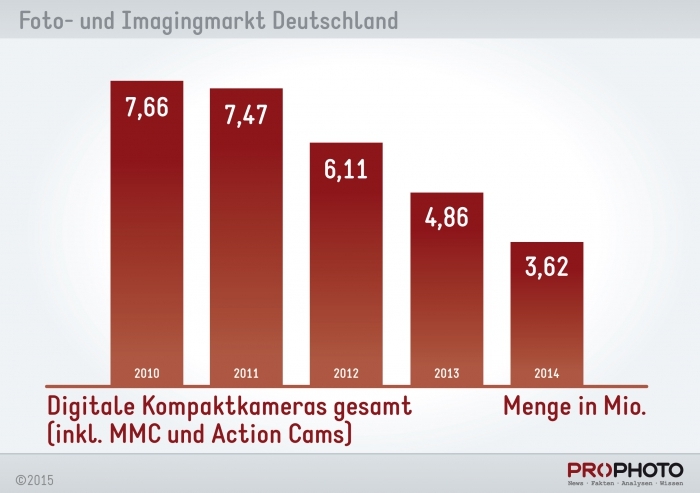 2014 is the second year in a row where the demand for DSLRs has shrunk while, at the same time, the demand for compact system cameras (EVIL, MILC or whatever other names they might have) has grown. While demand for DLSRs only went down a few percent in 2013, this decrease jumped to a whopping 28.7% in 2014. 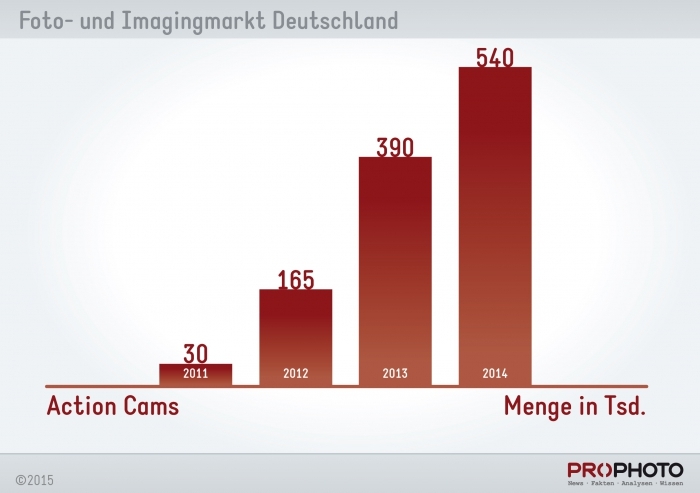 In comparison, the demand for compact system cameras increased in 2013 and 2014 by 15% and 17.4%, respectively. 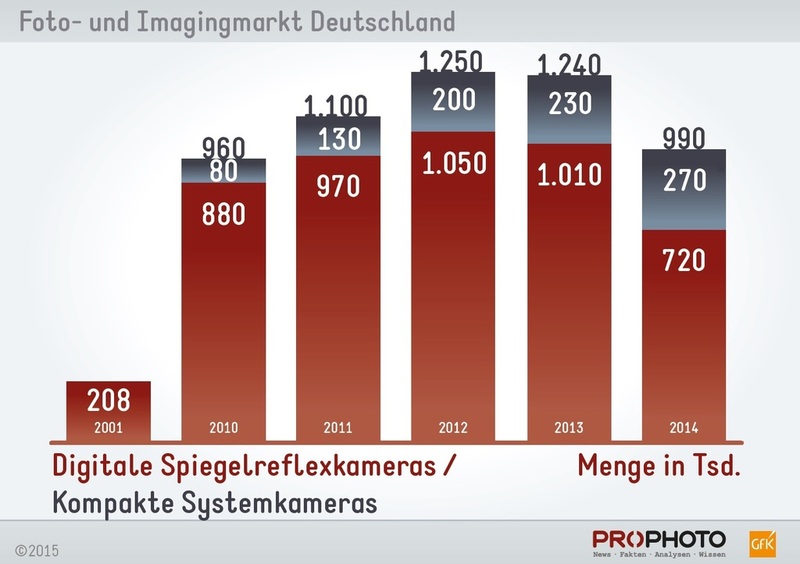 If the current trend continues – which I do not believe – EVILs are going to replace the DSLRs completely on the German photo market at the latest by 2022. Next: Next post: Sigma news and rumours: SPP 6.2.1 and firmware-updates for the DP1Q and DP2Q are now available!